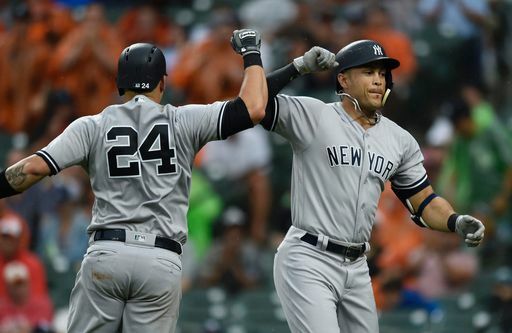 On the heels of an impressive 4-1 win last night, the Yankees took the field again this afternoon at Camden Yards seeking their fourth straight win. The Yankees and Orioles were delayed almost two full hours at the start of this one due to rain, but when the game finally began it was Masahiro Tanaka vs. Kevin Gausman. 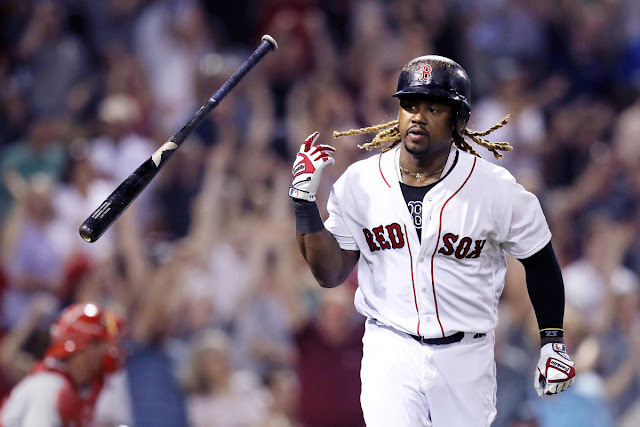 With a win, coupled with a Boston loss at Houston, the Yankees could recapture sole possession of first place by night's end. Miguel Andujar and Giancarlo Stanton provided early offense, Hicks added three hits and the Yankees' bullpen was strong in relief of Tanaka en route to an 8-5 victory. 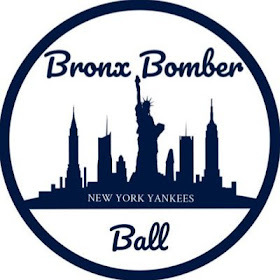 Brett Gardner starting off the game hot, ripping a double into the gap, but the Yankees were unable to do anything further after Gausman buckled down and retired Aaron Judge, Greg Bird and Giancarlo Stanton in order, both Judge and Stanton via strikeout. In the bottom of the inning, Tanaka issued a one-out solo home run to Adam Jones that gave the Orioles an early 1-0 lead, but one that wouldn't last very long. 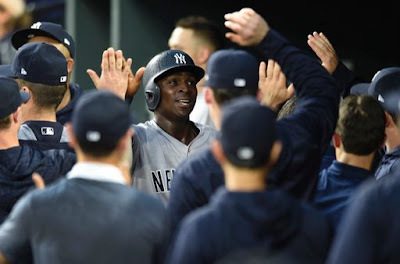 After retiring both Gary Sanchez and Didi Gregorius to start the second, Gausman allowed a single up the middle to Aaron Hicks before Miguel Andujar blasted his sixth home run of the season into the seats in left to give the Yankees a 2-1 lead. Tanaka responded with a shutdown inning, allowing only a single to Chris Davis, in the bottom of the second. The Yankees threatened to repeat the first inning after Gardner led off with another double and then both Judge and Bird struck out, but Stanton jumped on the first pitch he saw, a 95 mph heater right down the middle, and deposited it deep in the right-center field bleachers to push the Yankees' lead to 4-1. Giancarlo Stanton CRUSHED this one. Battling through a steady rain in the bottom of the third, Tanaka immediately threated to give the lead back. Chance Sisco led off the frame with a soft flyout to center field, but Joey Rickard followed with his third home run of the season and Jones ripped a frozen rope single back up the middle to bring up Manny Machado as the tying run. Tanaka responded, however, by striking out both Machado and Mark Trumbo to escape further trouble. After Gausman and Tanaka traded zeroes in the fourth and fifth innings, the Yankees added to their lead in the top of the sixth. Stanton reached on an infield single deep in the shortstop hole and Sanchez hit a soft grounder that should have been an easy double play, but Jonathan Schoop airmailed the throw to first allowing Sanchez to reach. He was awarded second base when the errant throw ended up in the dugout. Gregorius followed with a single to center that was misplayed by Jones and Sanchez scored, extending New York's lead to 5-2. Aaron Hicks knocked Gausman out of the game with a single of his own to center which scored Didi and the Yankees' lead was stretched to four. Tanaka issued his third solo HR of the game in the bottom of the inning when Machado tagged him for his 18th of the season. Trumbo struck out but then Schoop ripped a single to center. Tanaka then walked Mancini and was pulled in favor of Jonathan Holder with Davis up as the tying run. 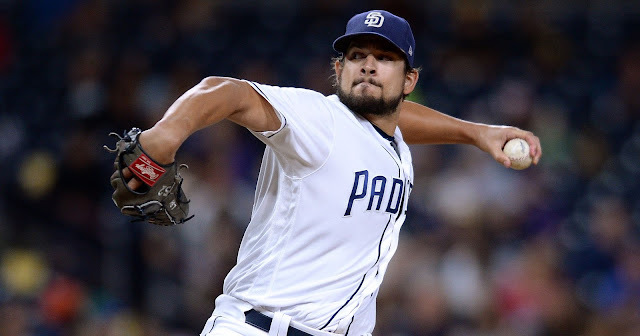 Holder was able to escape the jam with minimal damage after he struck out Davis, issued a double to Valencia that only scored one run, and then got Sisco to fly out to left field. The Yankees put the game away in the top of the eighth off Mychal Givens, adding two more runs courtesy of RBI hits from Hicks and Andujar. With the game firmly in hand at this point, Dellin Betances and David Robertson closed things out and the Yankees had their 37th win of the season. Weather permitting, the Yankees and Orioles will conclude their rain-shortened series tomorrow afternoon at 1pm. Domingo German (0-3, 5.45) starts for the Yankees opposite Alex Cobb (1-7, 6.80). After tomorrow's game, the Yankees fly to Detroit for Monday's double header makeup before starting a three-game set in Toronto on Tuesday to wrap up the road trip.